If you were injured in a slip and fall accident in Hialeah, you should seriously consider consulting a Hialeah slip and fall lawyer. There is a chance that some person, company or corporation is responsible for the condition that caused you to slip and fall. You owe it to yourself and your family to find out if some individual or company is responsible for your damages. Our Hialeah slip and fall lawyers at the Wolfson Law Firm in Miami know how to help you after your slip and fall injury in Hialeah. Our personal injury attorneys in Miami have more than 80 years of collective experience helping Hialeah personal injury victims. We are available 24 hours a day and 7 days a week. We offer free bilingual consultations. You can speak to our Managing Attorney Jonah Wolfson who is a fully bilingual person injury attorney and wrongful death lawyer from Miami serving Hialeah, Miami Lakes, Hialeah Gardens and all of South Florida. Call us today at (305) 285-1115 and let’s get to work on your case. Many experts will tell you that slip and fall incidents are becoming a leading cause of injuries and deaths to persons in the United States. If you call a qualified and competent personal injury lawyer who has the experience necessary to assist you after your Hialeah slip and fall injury it is likely to be a decision that you will never regret. Better to get the answers you need than to be left with lingering questions. It is never a good idea to be a silent victim. If you decide to call a Hialeah slip and fall lawyer to investigate your slip and fall incident, you are not only taking responsibility for your situation but you may also end up saving someone else in the future. Our Hialeah slip and fall attorneys have seen the positive effect of slip and fall lawsuits on society. Once the responsible person is held accountable, they will likely make the necessary corrections to avoid future slip and fall accidents resulting in injuries and/or death. So in a big picture analysis, by insisting that the person or corporation be held accountable you are also improving the community. Hialeah calls itself the “City of Progress’. Its population exceeds a quarter million people. It has a vibrant economy and diverse population. But how does Hialeah compare with other cities? If you have a problem with your taxes, we are not the lawyers you need. If you have real estate issues, that is not our field. But if you were injured in a Hialeah slip and fall accident, we can help you. The point is while you may need a lawyer, it is important that you choose the attorney and law firm with the experience and qualifications to help you on your specific kind of case. That is why we invite you to look at our recent cases and our qualifications. At the Wolfson Law Firm, our Miami personal injury lawyers have worked diligently on of our personal injury clients from Hialeah and Miami Lakes since 1963. Our Hialeah slip and fall lawyers are licensed to practice law in all Florida state courts. 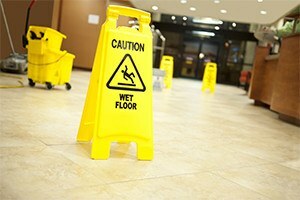 They know what to do to help you and your family get the justice you deserve after your slip and fall in Hialeah. Our Miami personal injury attorneys serve the residents of Hialeah as well as Miami Lakes, Hialeah Gardens, Doral, Miami Springs, Miami Gardens, Aventura, North Miami, South Miami, North Miami Beach, Medley, Doral, Edgewater, Homestead, Florida City, Coral Gables, and Coconut Grove. We offer free consultations wherever it is convenient for you. Our personal injury offices are located at 3399 SW 3d Avenue in Miami. We handle all personal injury cases on a contingent fee basis. What that means is that you owe no attorneys’ fees unless and until we obtain a financial recovery for you. Call today to speak with our Miami personal injury professionals at (305) 285-1115.